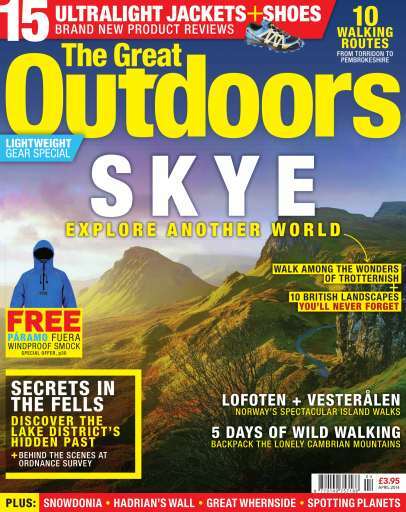 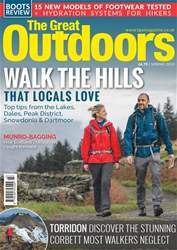 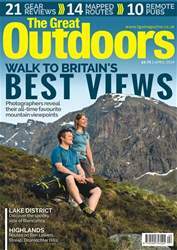 Our experts test the best and latest ultralight waterproof jackets and trail shoes, plus Hanna Lindon explores the alien landscape of the Trotternish peninsula, Cat Scully walks Northern Norway's remarkable coastline, Alec Forss spends 5 days backpacking in the Cambrian Mountains, Vivienne Crow uncovers the hidden past of the Lake District, and Daniel Neilson goes behind the scenes of Ordnance Survey. 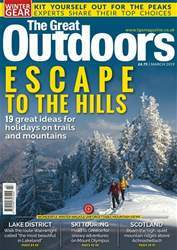 We also share expert tips on sleeping bag care, avoiding terrain traps, finding true north and spotting planets in the night sky. 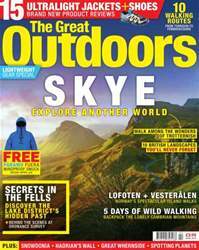 Our digital edition comes with exclusive galleries of Norway, Hadrian's Wall and the Pembrokeshire Coast, exclusive video footage and links to extended online galleries.